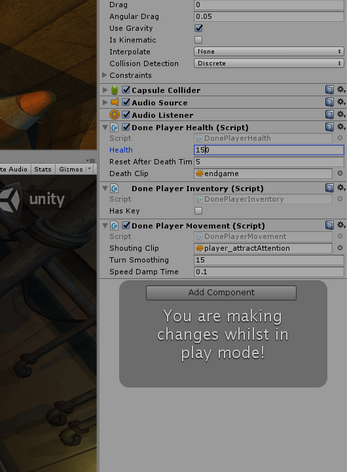 Tired of making changes in your Unity scene only to find out that you were in play mode all along? This is an extremely simple tool, designed to help prevent this from ever happening again! 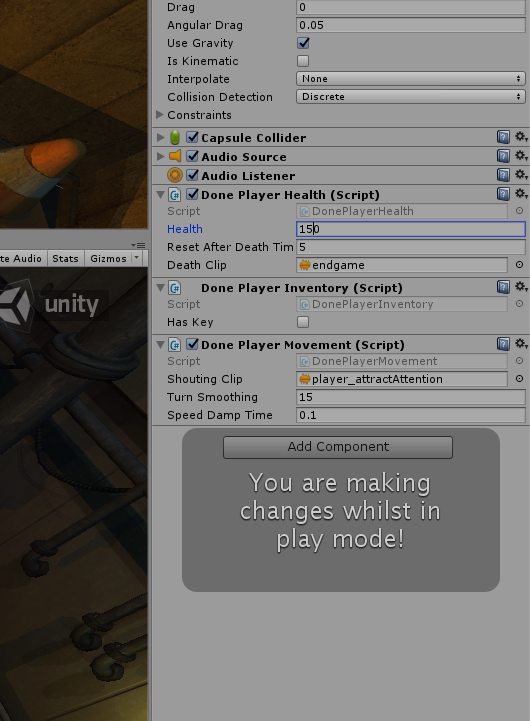 If you make any changes, be it in the hierarchy, scene window, or inspector, Play-Mode Warn shows a popup warning you that you're still in play mode. 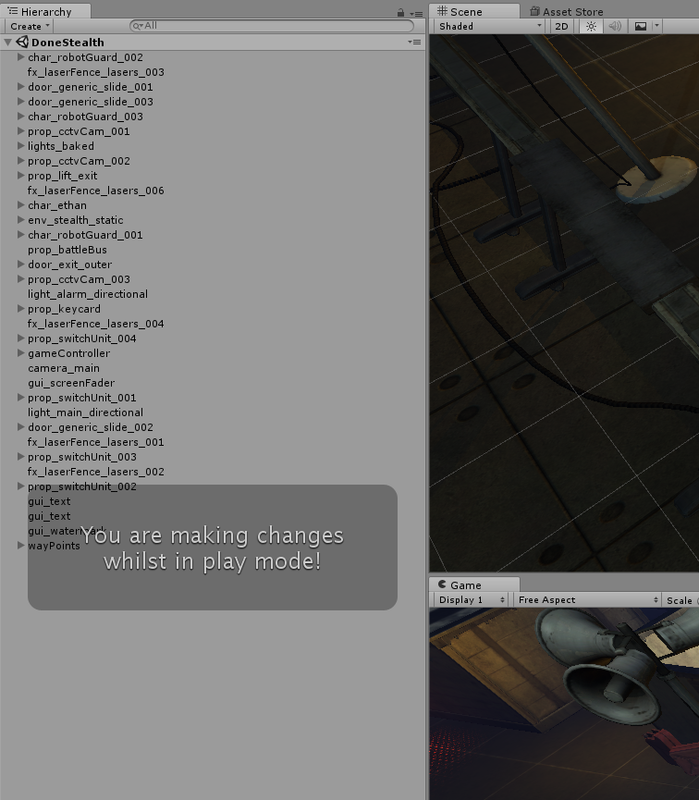 This tool simply warns you - it doesn't prevent or recover edits made in play mode. Sample scene is Stealth, by Unity and can be downloaded on the Unity Asset Store.